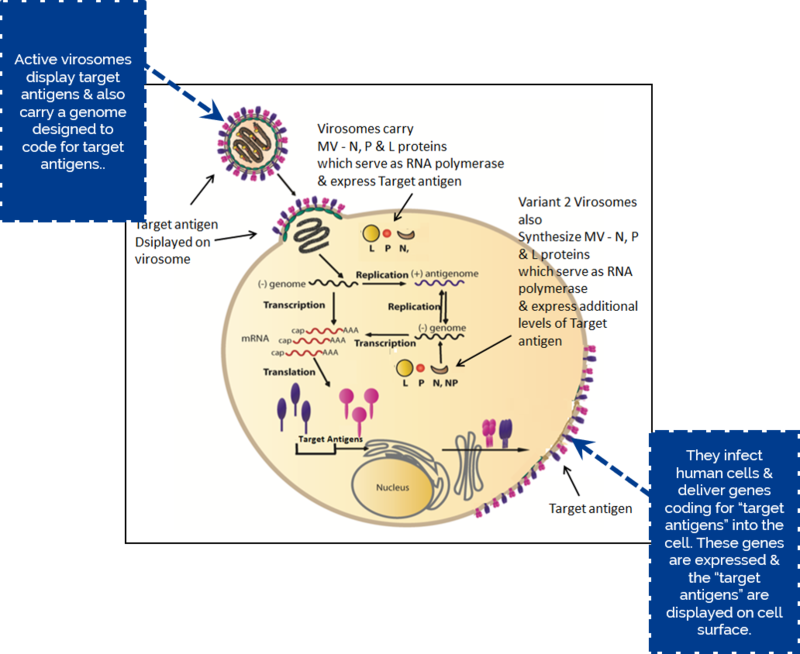 Active virosome technology is a powerful, versatile platform for producing vaccines and therapeutic agents. Active virosomes are non-replicating derivatives of Measles and other morbilliviruses. very efficient at delivery into human cells. target virus polymerase & cis-acting regulatory regions essential for target virus replication. all the MV genes essential for MV replication.